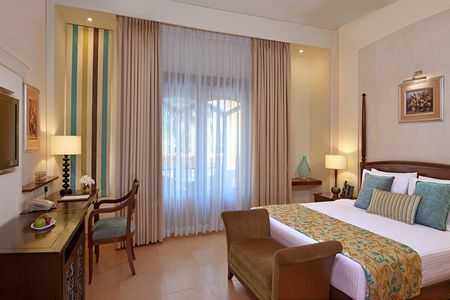 Stay within easy reach of three popular Indian beaches at the Country Inn & Suites® by Radisson, Goa Candolim. 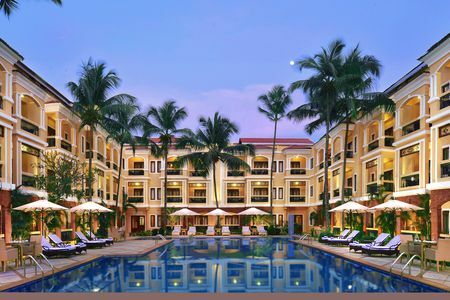 Our location off Aguada-Siolim Road is within a few minutes of Candolim Beach, Calangute Beach and Baga Beach. Other popular attractions and sites include Aguada Fort, Panjim City and Dona Paula. After a busy day of sightseeing, retreat to the hotel and relax by the outdoor pool, or grab a bite to eat at one of our three on-site dining establishments. Cap off the evening with a drink and live music in our manicured tropical courtyard at the Poolside Bar-B-Que Grill & Bar. Reserve one of our Suites to enjoy additional space and a private balcony. 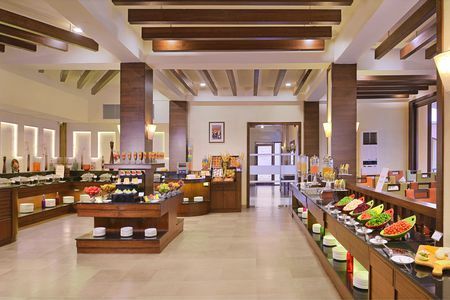 Three convenient on-site dining options allow our guests to satisfy their hunger without having to leave the hotel. If you prefer to dine in private, we also have room service available 24 hours a day. Mosaic serves up dishes from around the world alongside handcrafted cocktails and is open all day, every day. The perfect place to stop in for a pre-dinner cocktail or a nightcap, the Lobby Bar offers an extensive drink menu and light snacks. For barbecue, live music and Sunday brunch, head to the Poolside Bar-B-Que Grill & Bar. 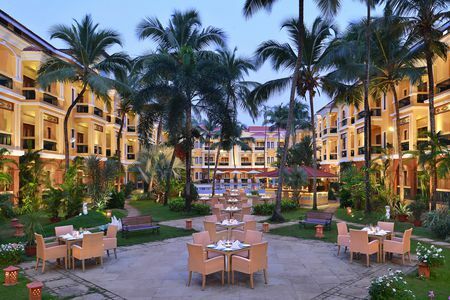 This restaurant not only serves delicious food, but also boasts a beautiful location in the courtyard of the hotel. Candolim Beach – Located just five minutes from the hotel, this beach is less crowded and offers the same fun in the sun as Goa’s more popular beaches. Stop by one of the many beach shacks lining the shore for food, drinks and dancing well into the night. For the ultimate beach trip, paddle out in a banana boat or try your hand at parasailing. Fort Aguada – This historic structure was built by the Portuguese in 1612 and earned its name after the discovery of a freshwater spring within the fort. Drive about 10 minutes from the hotel to walk the ramparts of this sprawling complex. Be sure to scale the lighthouse for a breath-taking view of the Arabian Sea. 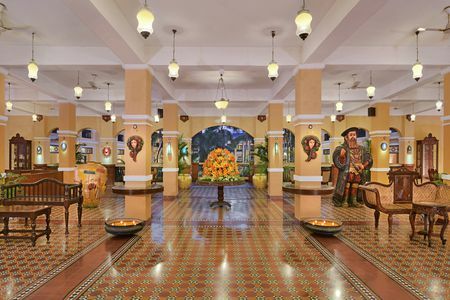 Panjim City – About 30 minutes from the hotel, the capital city of Goa is your one-stop destination for shops, restaurants and remarkable Portuguese architecture. Enjoy a sunset dinner cruise down the Mandovi River, complete with Goan dancers and musicians, or explore the Old Town district of Panjim, filled with European-style cathedrals and murals. With ample accommodation for up to 250 guests, our meeting facilities come well-equipped with flexible seating arrangements and a variety of room choices to meet your needs. Opt for the boardroom for smaller, intimate gatherings, or reserve the pillarless Girasol Ballroom for grand events. Free Internet access, audiovisual equipment and a helpful staff are also available.